Uday Dandavate, co-founder and CEO of design research company SonicRim, is appalled about Facebook pushing its Free Basics program in India, which he think is driven by “an attitude that represents stupidity wrapped in ignorance”. 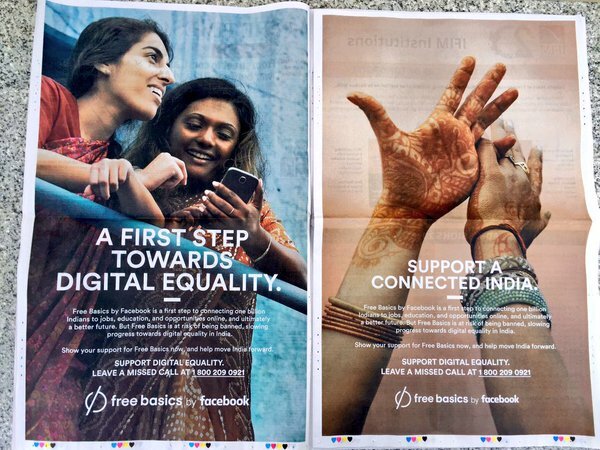 I just returned from India where I saw all the newspapers carrying two full-page ads justifying the Free Basics concept of Facebook. I was appalled. While helping clients conduct research in emerging markets, I have realized that the biggest barrier to learning about the realities and aspirations of global communities comes – not from lack of local knowledge – but from a narrow and condescending world view and an exaggerated confidence in the idea of the technological, cultural and knowledge superiority of the developed world. This attitude makes it difficult for companies from the developed world to recognize the universality of human emotions and aspirations. Most people around the world live with extremely limited resources. To believe that, because they cannot afford products and services at price points set for developed markets, people from emerging markets do not need (or deserve) the full benefit of the latest technologies is an attitude that represents stupidity wrapped in ignorance. This psychological limitation, very common in the executives trapped in the ivory towers of global corporations headquartered in developed countries, results in ideas such as Facebook’s Free Basics. Such ideas are an insult to the concept of human rights. In an era of connectivity net neutrality is a human rights issue.